Australian troops currently are deployed in southwest Asia in support of operations Enduring Freedom and Iraqi Freedom. The Australian Defence Force is developing the JP2072 Battlespace Communications System that will improve interoperability with systems from other countries during coalition operations. Programs merge to create system that supports coalition operations. Interoperability with allied forces is a priority for Australia’s military, and a program underway will deliver a multiphase, $600 million renewal of the Australian Defence Force’s tactical communications systems. The program initially will rely on a bridging capability largely based on existing infrastructure that will be supplemented and ultimately replaced over at least the next decade in a series of phased improvements. Integration is a key issue for the JP2072 Battlespace Communications System (Land), or BCS(L), program. JP2072 was formed by the merger of two earlier projects: the JP65 Ph.7B Parakeet Battlefield Communications network upgrade and the Land 128 Project Currawong Very High Frequency Combat Net Radio replacement programs. David Marshall, director of the general communication systems branch at Australia’s procurement agency, the Defence Material Organization (DMO), explains the importance of delivering a coherent approach to digitization. “The current field communications capability of the Australian Defence Force [ADF] has been implemented from a number of separate programs over a number of years. As such, the capability was not integrated and, by design, focused on transmission of voice communications. JP2072 seeks to address these two key areas of deficiency and has introduced an integrated system with a focus on all forms of communications, including data. The area of most concern is communications between mobile headquarters and forces at the lower tactical headquarters,” he says. The DMO undertook extensive market surveys to understand what was available internationally, and it worked with allies across the field to understand comparable efforts around the world. According to Marshall, a key requirement for the JP2072 is interoperability with allies, the United States in particular. “It will be one of the more important functional requirements derived from the stated operational requirement. The project maintains close links with U.S. programs through a number of Australian liaison officers embedded in U.S. organizations and units,” he explains. Within industry, some have speculated whether Australia will go further and adopt the U.S. Joint Technical Architecture during phase one, or in later stages of the program, to ensure greater interoperability. Reflecting U.S. interoperability requirements, Australia, like New Zealand, has requested to use the U.S. National Security Agency approved Railman embedded communications security module for its tactical intranet. The JP2072 has understandably drawn comparisons with the United Kingdom’s Bowman program, which achieved its initial service date in March of this year. Marshall explains that the JP2072 project office had visited the Bowman integrated project team while developing the statement of work for the JP2072 prime system integrator request for tender. “JP2072 can be likened to a cross between the Bowman and Falcon projects in the United Kingdom, analogous to the U.S. Warfighter Information Network–Tactical. The project office maintains a watch on the development of both programs and intends to maintain close links when completing the requirements development post-contract signature,” he adds. However, he notes, important differences exist between Australian and British requirements. The JP2072’s initial requirements will not introduce a capability comparable to the United Kingdom’s Bowman High Capacity Data Radio. “The key lesson observed from discussions with allies and Australian users is the need to maintain accurate situational awareness at the lower tactical level. Due to force dispersion, this environment has and is likely to continue to rely on VHF [very high frequency] and HF [high frequency] communications. Without heavy reliance on satellite communications, maintaining acceptable data capacity between these mobile headquarters will pose a challenge,” Marshall states. The project office is managing links to other communications projects through interface control working groups. Many of these are already in place and were established by existing projects. Where they do not exist, they will be established by the JP2072 and will be the prime forum for interface management through the requirements definition process. Military satellite communications and other communication systems are managed within the communications branch of the DMO’s electronic systems division, enabling close coordination across multiple projects. Furthermore, projects are developed within a defense information environment framework, and the defense chief information officer is a co-coordinating capability manager who addresses more overarching linkages. In a phased program, maintaining legacy equipment and ensuring maximum backward compatibility with new capability are always issues that require close management. In the JP2072, both the fleet management organization responsible for maintaining current systems and the JP2072 project office belong to the same system program office. Future procurement decisions, Marshall explains, would be taken with “value for money” and through life-cycle support costs as prime considerations. An important component of this equation is maximum practical use of existing infrastructure and support where possible. A prime system integrator (PSI) for the JP2072 is expected to be appointed later this year. The integrator will be responsible for demonstrating that this analysis has occurred during the evaluation process prior to any equipment solution being accepted by the Australian Defence Force. Australia’s military, as are other militaries around the world, is well advanced in soldier modernization programs, increasing demands for communications at the tactical level being provided by the JP2072. In Australia’s case, this effort is known as Land 125 Project Wundurra. In a separate procurement from the JP2072 program, Australia is acquiring 59 M1A1 Abrams integrated management tanks and support vehicles. Included in the $475 million foreign military sales package will be 80 single channel ground and airborne radio systems. “Land 125 is one of many Australian projects that affect or will be affected by the implementation of the JP2072 capability. The project systems engineering manager maintains a liaison with these projects and resides on a number of interface control working groups to ensure that interface issues are addressed. Land 125 and other requirements will be considered when deriving the functional requirements and specifications for the implemented capability,” Marshall says. Land 125 also is obtaining tactical communications systems that are outside the JP2072 program. These include substantial numbers of the Marconi Selenia Communications Personal Role Radio. U.K. and U.S. marines used the radios in operations in Iraq. The DMO intends that the PSI selected for phase one will continue through the life cycle of the program, but Marshall emphasizes that this is contingent on performance. “The PSI role would be re-competed if the phase one contractor fails to perform through this phase. Throughout this period, various equipment suppliers will also be selected to provide the material solution based on offering the best ‘value for money’ through the life of the equipment,” he relates. Four teams have emerged in the competition for the JP2072, submitting bids to meet the deadline last April. Raytheon Australia is promoting its own experience supporting the U.S. Force XXI Battle Command Brigade and Below effort and includes the U.S. program’s prime contractor Northrop Grumman on its team. Nordic companies Kongsberg and Ericsson are providing the team with expertise in combat net radio and trunk communications technology from outside the United States. General Dynamics Canada, the company that developed the Canadian IRIS program on which the United Kingdom’s Bowman solution is based, has teamed with leading Australian defense companies ADI Limited and Tenix Defence. BAE Systems Australia is the incumbent on the existing projects Raven, Wagtail and Parakeet communications systems and is pitching itself as a PSI without a commitment to specific equipment vendors. IBM also has submitted a solution for the bid. A number of international equipment manufacturers, including Harris, ITT, Thales, Tadiran Communications and Rohde and Schwarz, have been briefed on the program. The JP2072 capability has been divided into three linked phases that will last until at least 2016. Work initially will focus on delivering an improved capability sufficient to equip a brigade-size joint task force (JTF) and then will be rolled out across the armed forces in parallel with successive technology refreshes over several years. Phase one was approved in 2001, and development of the request for tender was completed in 2003. That document was released in January 2004, and contract signature is expected in December of this year. Marshall explains that equipment delivery is not expected to begin until 2006. The team selected as prime system integrator will have a twofold task: to deliver an initial acquisition designed to fill immediate capability gaps, described as ‘selective solutions’ in the JTF; and to provide a systems-level overview and detailed path for the overall program as part of the project definition study. As the BCS(L) title suggests, the JTF would typically be a largely army-based formation. This will be required to support a tailored force that, at its peak, would comprise a deployable joint force headquarters (DJFHQ)—a subordinate brigade headquarters, the Australian Defence Force’s three brigade headquarters—commanding a flexible number of subordinate units and overall logistics support. Reflecting its joint mission, phase one also will support the tactical communications for a deployed airbase. A key operational concept that the JP2072 must support is the Amphibious Maneuver Operations in the Littoral Environment program. These requirements reflect recent levels for deployments of Australian forces. A JTF headquarters, which is exerting national command of maritime, land and air elements deployed in the Middle East, leads the ongoing operation Catalyst in Iraq. It commands the 850 troops supporting operations in Iraq, additional assets in Afghanistan and Kyrgistan, and naval patrols in the Persian Gulf and the Indian Ocean. In initial operations in East Timor in 1999, Australia deployed a force comprising a DJFHQ for an ADF force of 4,500. The following year, the JP2072 requirement was included in the ADF white paper titled “Our Future Defence Force,” designed in part to address the shortfalls identified by the deployment in East Timor. Initial capability will consist of three core capabilities: a tactical combat network radio system, which today comprises the Wagtail, Raven and MBITR; a tactical trunk system initially based on the incumbent Parakeet solution; and a local area subsystem covering headquarters operations in fixed or on-the-pause rather than on-the-move operation. 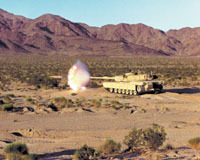 The subsystem will provide network access to key battlefield applications, including the army’s Battlefield Command Support System, Air Command Support System, the Standard Defence Supply System and Project Ninox assets, which cover manned and unmanned night vision sensor and systems and ground-based surveillance capabilities. With a budget of roughly $100 million, there is no immediate plan for the complete replacement of current infrastructure under phase one. Ultimately, however, replacement radios will improve the tactical intranet through a variety of capability upgrades. These will include improved networking, a greater data throughput and the inclusion of an automatic location reporting system via an embedded global positioning system module. This is expected to be a foreign military sales Selective Availability Anti-Spoofing Module. Specific improvements over current high frequency capabilities include an automatic link establishment facility. The JP2072 briefings state an interest in the U.S. Joint Tactical Radio System for future growth but make no firm commitment to its eventual adoption. In later phases, two additional capabilities are planned for the transmission system: a tactical data distribution system, reflecting the predicted need for real-time data, and a tactical airborne system, which could comprise manned and/or unmanned platforms operating as range extension relay nodes. The project team has identified stovepiped systems as the source of current shortcomings. In particular, it has criticized either deficient or nonexistent network management of systems in place today. These systems will be replaced under the JP2072 with a single system for all subsystems and will be capable of dynamic bandwidth management. Phase two may refresh some technologies introduced in phase one and could begin delivery in 2008 or 2009. However, it also will build on the capability and will incorporate throughput improvements to cope with greater demands for data as applications grow. Phase two will introduce the new capabilities to other high readiness elements of the ADF in addition to 3 Brigade. Phase three will continue the spread of new technology throughout the ADF and refresh technologies introduced in earlier phases. Another goal is to include a tactical data distribution system for the first time.